Not exactly a field any longer, is it? Well done! I love this garden want to move? 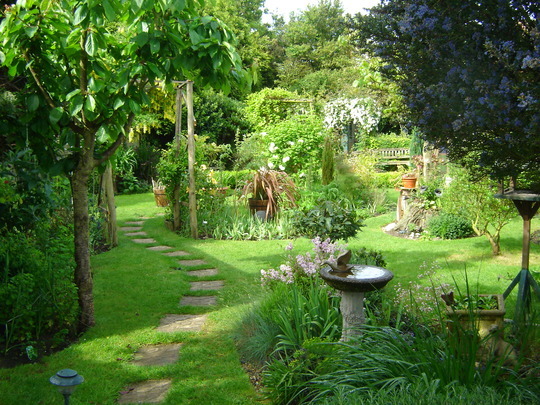 ahhhh this is my ideal garden....wow..how long did it take to acheive this..
You have a beautiful garden, I am envious. This is lovely. I would love to work down that path to see what lies beyond.